1. From your dashboard, click your profile icon then click My Profile. 2. You will be directed to the Profile Management page. Click Upgrade to Business. 3. You are now on the subscription page. Fill out the form with the payment details. 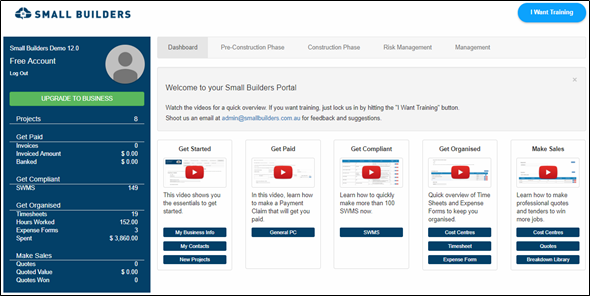 Note: Your Small Builders paid subscription is automatically renewed monthly. Avail the free subscription to stop automatic renewal. 4. If you have a voucher code, click the link located just below the Upgrade to Business button. Enter your voucher code then click Validate. 5. 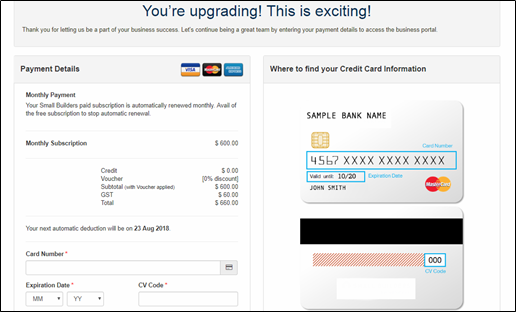 Click Upgrade to Business. 1. 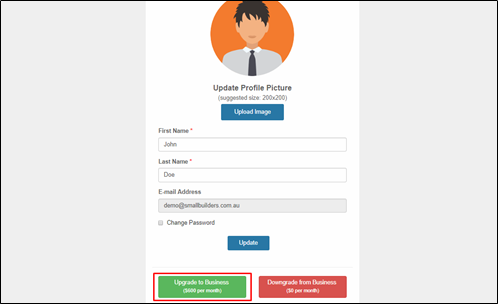 Click Upgrade to Business Portal. 2. Fill out the form with the payment details. 3. 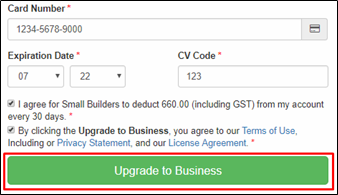 If you have a voucher code, click the link located just below the Upgrade to Business button. Enter your voucher code then click Validate. 4. Click Upgrade to Business. 1. Click Upgrade To Business.